Steven Gerrard has claimed that Manchester United have a decent chance of winning the Champions League this season – because of the Jose Mourinho factor. The Red Devils successfully booked their place in the last 16 of Europe’s elite club competition on Tuesday night as winners of their group thanks to their 2-1 victory over CSKA Moscow at Old Trafford. Mourinho’s side booked their place in the Champions League this season thanks to their Europa League triumph in the Portuguese coach’s first campaign in charge at Old Trafford last term. Manchester United will now await to see which team they will be pitted against in the last 16 when the draw takes place in Nyon on 11 December. Former Liverpool FC star Gerrard feels that there are lots of teams better than Manchester United in the Champions League this season, but claims that Mourinho could help to steer them to glory in Europe this season. 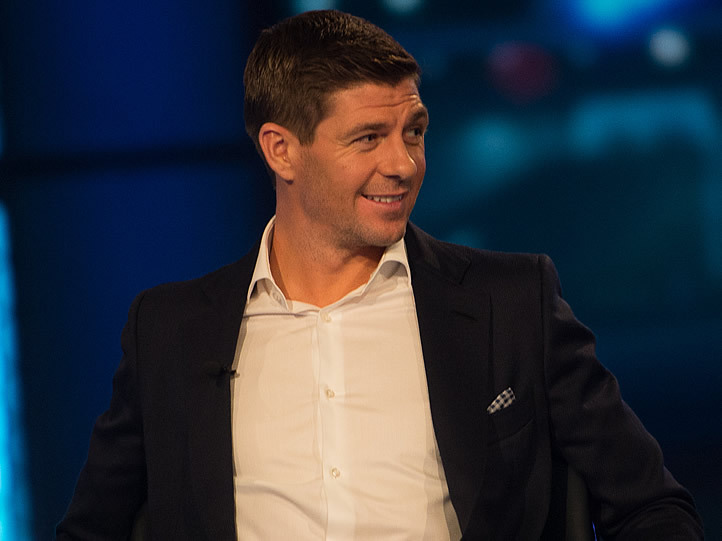 Asked if Manchester United can win the Champions League this season, Gerrard told BT Sport on Tuesday night: “I think Mourinho gives Man United a chance. “With Mourinho, you’ve always got that chance [against the big clubs] because he can set a team up in any given game and get that important result. Manchester United return to Premier League action on Sunday with a crunch clash against Manchester City at Old Trafford, as they look to try and close the gap down to Pep Guardiola’s men.